What Is A Captcha Typing Job? In this post I am going to explain you about “what is a captcha typing job” I am sharing my personal and my own experience which will be helpful for you to get some insights, whether captcha typing job is worth, or its scam, whether they are paying etc. Often you would have come across advertisements stating you can earn 100’s of dollars in your spare time but the reality is different. Above is the example of a captcha solving, captcha is a text or image verification which you need to type in the provided box in order to prove you are human not a robot. You might come across these captcha’s when you sign up for email accounts, in websites before you log in or before you sign up or register. Captcha’s primary purpose is to check whether you are a human or robot. What Is A Captcha Entry Job? 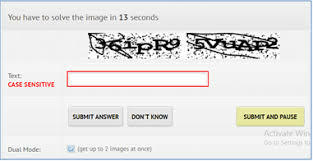 Many websites offers this captcha entry as a job, all we need to do is solve the captcha’s or keep typing the capcha’s. For every 1000 captcha entry you will earn money. 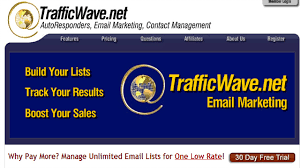 Most of the websites offers the jobs as free without any investment, free to join. Many sites Offers this job without investment. Very easy process (Just need to type seeing the image). Those who can type fast can earn more money (Earn More compared to the person without typing skills). Need to have a high speed Internet connection. Receiving captchas might be slow. Account might be suspended if your solved captchas not met the quality standard and you will lose all your earnings. You need have a desktop or laptop with high speed internet connection. If your typing speed is good it will be more helpful to solve more captchas but it’s not a requirement it’s an added advantage. You need to read and type English. How Much Can We Earn From Captcha Typing? To be honest the answer for the above question is “Very Little”, Let me share my own experience… My friend is running a data entry company in which I manage few projects and in the downtime or idle hours I utilize few employees in captcha typing you know what, they are my potential employees in quality and as well as quantity they type 40 to 50 words per minute so I tried this for many days. When I calculate the earnings I am really disappointed… The result is utilizing one man power for 8 hours they earned me between $1 to $2 only this is not worth. It won’t cover the production cost. Many companies pay in between $0.20 to $1.50 per 1000 captcha, it’s really really rare to see the amount as $1 for 1000 captcha most of the time it will be around $0.30 to $0.70 for 1000 captcha’s. Spending 8 hours and earning around $1 to $2 oops i am really frustrated. Its not worth the effort not even covering the electricity charges. After keying every captcha you need to wait for the next one to be loaded which takes 10 to 20 seconds sometimes even more. We need to keep looking at the computer. In order to avoid the slow loading time these captcha companies advice us to keep the high speed internet connection but my questions is, “Is it worth the time, effort and investment?”, my answer is NOOOOO. If you enter or capture many captcha’s incorrectly your account will be suspended, it depends on the quality measures of the companies and it vary from company to company. Already we are earning very very little in case our account is suspended all the efforts goes on vain. There are few genuine captcha typing sites but Instead of wasting your time and effort in captcha typing you can utilize your time in other good programs and build your online career and be your own boss. TAKE ACTION – Learn how to turn your passion into an online business. Learn how to build your own website and how to earn from it. Learn how to be your own boss by blogging. Learn from the great community with like minded people helping, teaching and guiding each other for success. Learn affiliate marketing and many ways to earn online. Need help on anything I discussed here? Awesome article…..you provide very detailed infomation in short…..thnx for sharing this awesome written article.. I am sharing from my own experience and captcha typing is really not worth the time we invest. OK, I’ve seen this many times, but I never knew what it was called. I also never knew that there are companies that pay to type these captchas. Initially, it looks like an interesting way to earn a little extra income, but $1 to type 1,000 of those is definitely not worth it. Sory to hear that you spend valuable time going through that, but I appreciate you sharing your knowledge. Vero that $1 is the maximum but $0.35 to $1 what they pay most of the time its less than $1. Its really really not worth the time. Yeah it was a learning experience and I am sharing so that my readers can save their time and energy. I see the ads that “make 100 dollats by captcha typing” . I plan to have a look when I have time. Your honest review gives me the answer: don’t waste time to do such job. Thanks very much for sharing your knowledge and experience. I tried many captcha sites and to be honest its not worth the time we spend. All those phrases “make 100 dollars by captcha typing” just shiny objects and its a different story in reality. Hello Paul, wow, I did not even know this was a position! I just learned something new. But it does sound like something you could not depend on. But amazing how in all this technology there is so many opportunities. Thank you ! With captcha typing we cannot earn a reasonable amount because I tried it, we can make a very little but it’s not worth the time we spend. Its really hard to earn and when they advertise, In captcha typing you can earn $100 per day……. I will laugh seeing those ads.